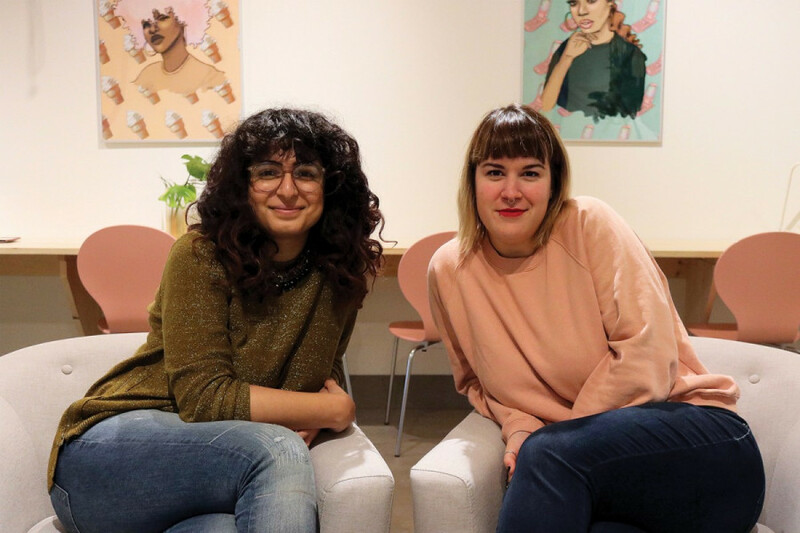 As two young independent female workers, Yara El-Soueidi and Eliane Bourque had trouble finding appropriate workspaces where they felt completely at ease in their environments. The places they went to either felt male dominated or were too expensive for what they wanted to spend. 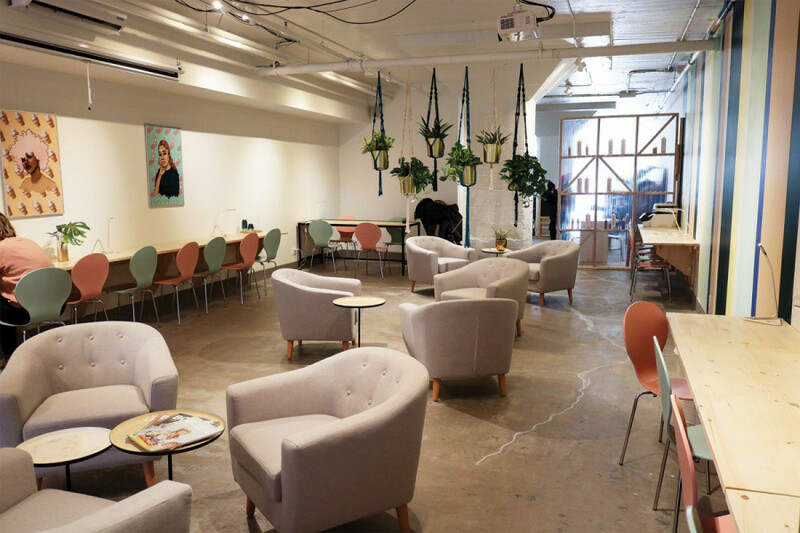 They decided to fix that by creating Espace L, a women-only coworking space and social club that encompassed everything they wanted in a workspace. Having just opened its doors on Saint Laurent Blvd. on Oct. 18, Espace L is where anyone who identifies as female or non-binary can come find comfort and community in a space that is all their own, tailored to their needs and that believes in the power of a group of passionate women. Bourque laughed as she remembered how desperately she needed to leave the house when she used to work from home. A coworking space is where individuals can rent a desk space for a specified amount of time to work. While some resemble traditional office spaces where everyone works at their desk and discussion is kept to a minimum, for El-Soueidi and Bourque, the two cofounders of Espace L, it was important that their space encourage collaboration and communication between women. Not just an open-air office, Espace L also organizes different activities and conferences offered to both members and non-members, to foster a sense of community within the space. They vary greatly in theme, from profound discussions on what it means to be a woman in male-dominated work environments, to bring-your-own-wine parties where women can mingle and meet. The goal of these activities and conferences is to give women different types of situations in which they can network and hopefully learn a little bit about themselves along the way. “I think we’re missing positive experiences here as women in Montreal, and Espace L wants to answer to this sort of experience,” according El-Soueidi. Female-identified folks can use the workspace for $20 a day and participate in workshops and events that foster a sense of community among women. “We really wanted to create a sisterhood, a place where people could discover new things, meet each other and create,” said Bourque. For El-Soueidi, a decisive incident caused her to realize that there was a problem in the workspaces being offered in Montreal. While in a bathroom in a shared office space she used to frequent, she realized that she had started her period and that there were no tampon or pad dispensers in the bathroom. After doing some research, she realized that a lot of coworking spaces had the same problem. El-Soueidi then spoke to Bourque, who enthusiastically agreed that this was something that was needed. The two women presented their project to the Service Aide Jeunes Entreprises, which provides aid to young businesses, at the end of November 2016, and it was approved. Throughout the process, El-Soueidi and Bourque faced setbacks that they believe occurred because they were women. “Having yourself taken seriously when you’re a woman, when you’re young and when you really want to start something is very difficult,” explained El-Soueidi. Describing their project as a feminist start-up has provided them with many dismissive and aggressive comments, the co-founders said. While both women were expecting some push back, the reality of it was still hard for them to face. Bourque explained how, while renovating the space for Espace L, they needed to get the assistance of a man to ensure that their project was up to speed. “It’s really frustrating to see that for your feminist project, you need to delegate to a man for it to move forward. It’s like a slap to the face,” Bourque said. Despite the setbacks, El-Soueidi and Bourque embodied their feminist project. They worked with female entrepreneurs to develop their logo, web design, and decor. One of these women is Niti Mueth, a graphic designer based in Montreal, who helped create four unique works of art to be featured in the space. Mueth explained that El-Soueidi approached her during one of her exhibits and presented her the project proposal. 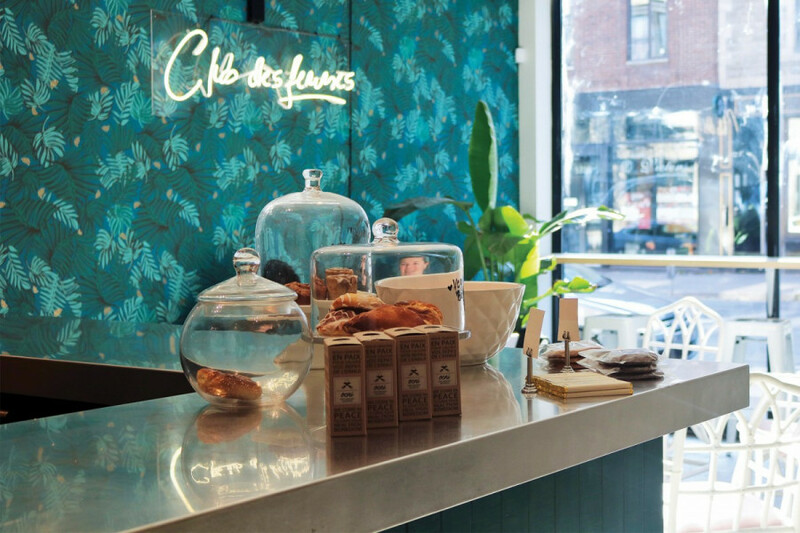 At the front of the space is Café Thérèse, a shop selling coffee and vegan treats to everyone regardless of gender. “I think we have essentially the same values and the same subjects, so it was easy to relate to the project and to work on it together,” said Mueth. The graphic designer worked with El-Soueidi and Bourque to develop art works that illustrated women and diversity, but that would also fit in the comfortable and beautiful work space they wanted to build. While Espace L is a female-only coworking space and social club, it is also fulfilling a need for budding entrepreneurs and independent workers. In many coworking spaces, you have the option of either renting a desk space day by day, which could cost you upwards of $20 a day, or getting a monthly pass with a reserved desk space that can cost you anywhere from $150 to $300 a month. At Espace L, $45 gets you get access to the coworking space four times during the month and it only costs you $10 per extra day as opposed to $20. For $100 a month, you get access to the space three times a week, as well as two hours of conference room time. These packages are geared towards new workers who might still be in the development phase of their business and don’t have the available income to spend $150 to $300 a month on a private desk, but still want a professional environment in which to work. “It’s not supposed to cost you a lot to be in a nice space and to work well,” El-Soueidi says. Espace L also offers a wide range of other services, such as a café at the front of their coworking space that is open to all, a small vanity where women can get ready on the go, as well as a small library and a newsletter called The Kegel. But at the base of it all, Espace L is a space that Bourque and El-Soueidi would want to be in and be a part of, and they hope it is a space that other women want as well. What would their ideal takeway be?